Troy Bayliss has wrapped up two days of official pre-season testing ahead of his racing comeback in this year’s Australian Superbike Championship. Bayliss finished up 10th-fastest on his DesmoSport Ducati with a 1:33.950s, 1.2s off the benchmark pace of benchmark Glenn Allerton on a BMW (1:32.728s). “Initially, after 10 years away, everything felt like it was in fast motion,” said Bayliss, who has not regularly raced a motorcycle since his final Superbike World Championship-winning season in 2008. Now 48 years old, the three-time World Superbike champion also revealed that he has changed his diet and embarked on a fitness routine to ensure that he is physically prepared for the campaign. “I’ve dropped down about six kilos and been living like a monk,” joked Bayliss. “Beers are gone; yoga starts as soon as I go home. The Taree-born rider won the Superbike World Championship in 2001, 2006, and 2008, before a filling in for the injured Davide Giugliano for Australia and Thailand in 2015. He also spent three seasons in MotoGP (2003 to 2005), but his one grand prix win came when he rode in place of Sete Gibernau in the season finale in Valencia in 2006. Ironically, the Australian Superbike Championship, which Bayliss last contested in 1997, has eluded him. While speculation had Bayliss’ motive at finally winning the national title, the man himself told former rival Troy Corser that he merely wants to be competitive in ASBK. “I want to be fast enough to be up the front in 2018 and anything else after that will be a bonus,” he said. Bayliss’ 14-year-old son Oli will continue to compete in the Supersport 300 ranks. 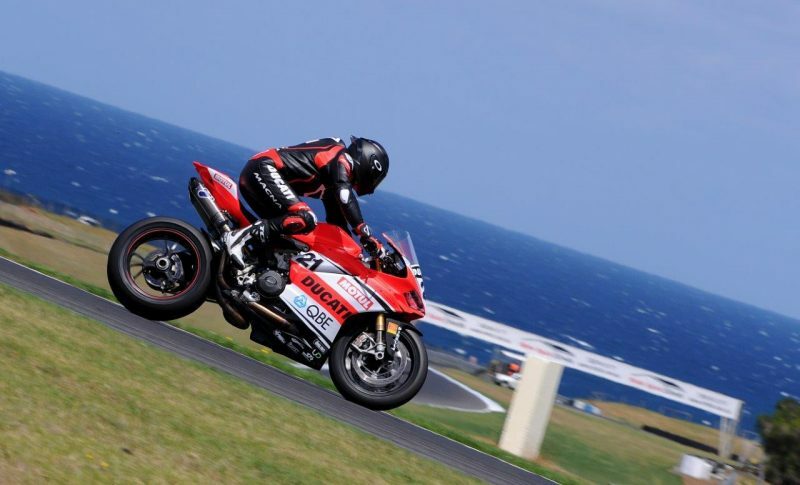 The new ASBK and WSBK seasons open at Phillip Island on February 22-25.